http://youtu.be/Lap6X_s19WQ Fulfilling a lifelong dream, professional freeride mountain bike athlete Paul Basagoitia can now add a natural terrain double backflip to his list of accomplishments. Taking place just outside Page, AZ, Paul has cemented himself in history by raising the bar of freeride mountain biking to the next level. Following in the footsteps of other legendary action sports athletes such as Levi Lavalle and Travis Pastrana, accomplishing a double backflip is a major accomplishment for both the athlete and the progression of any sport. In celebration of Paul joining the Teva mountain bike team, Paul’s sponsors Teva and Red Bull partnered together to support his vision for this project—to put the mountain back into mountain biking. 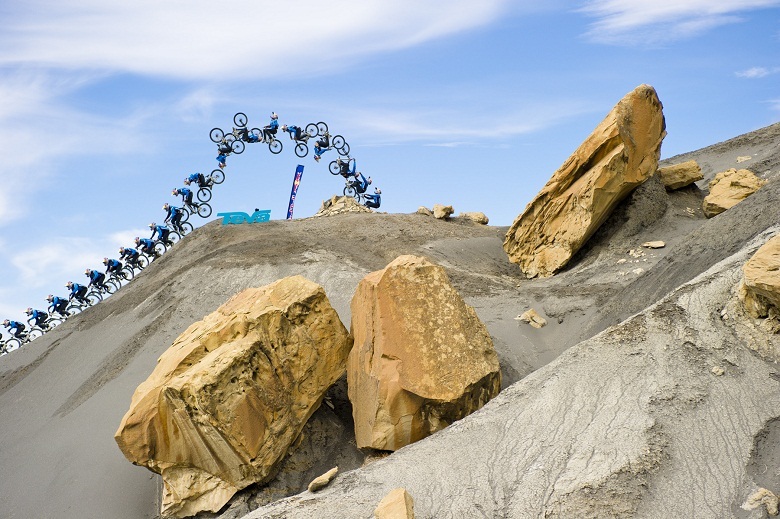 “There are a lot of kids on mountain bikes doing the same crazy tricks that BMX guys are doing. Let’s bring that into the big mountain and showcase what a mountain bike can actually do,” says Basagoitia. Tune in to Fuel TV’s Action Sports Plus and Teva's Facebook page on Tuesday, May 1st at 11/8p ET/PT for the full story. For more information on Teva’s collection of mountain bike footwear featuring the Links, the Pinner and new styles coming June 2012 visit www.teva.com. There's a litany of other adjectives you could prescribe to the lines McCaul and Brown threw down - Sketchy, heavy, and borderline suicidal all come to mind - but ultimately, the end result was jaw-dropping.